Thinking 'PICNIC'? 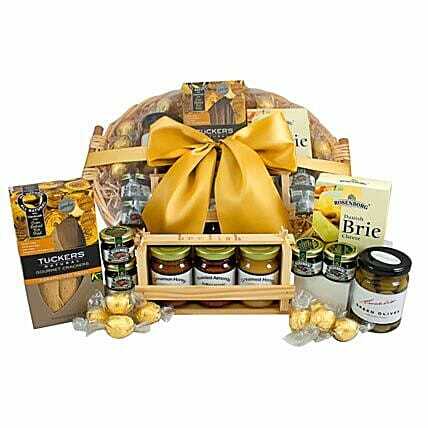 This gift basket is for you! With a fine selection of our highest quality gourmet treats, it makes for a picnic with a King! 1 handmade crate of 3 honey bottles, including creamed honey, cinnamon honey and roasted almonds in raw honey. A lovely homemade product from 'beelish' on the central coast of NSW.